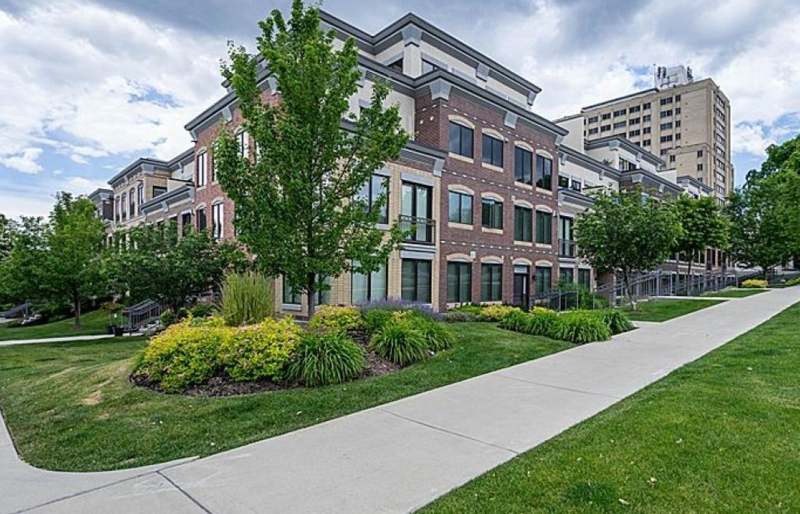 One & Nine Condos: As the address might hint, one and nine is on the corner of 1st east and 9th South, a convenient location to downtown Salt Lake City. It is close to the U Of U, hospitals, shopping, downtown, restaurants, and bus lines. Unlike most of the downtown condos you may have a pet in One And Nine. It must be under 20 lbs. (no Great Dane’s then papa). Newer than many in downtown it was built in 2008. The mix in unit sizes varies and as of this post their is one on the market that is 1I924 square feet for $579,120. It is on the 3rd floor with a deck and windows looking out to 9th Ave. It is 2 bedroom and 2 baths. There is a utility closet in the hallways as many in Salt Lake City have and that square footage is part of the stated square feet of the unit. The search on my website is excellent. Use it to see if this or others you might like are for sale. Also, the neighborhood news feature is great. If you subscribe you receive a monthly report with maps on what is for sale and what has sold in that zip code. Amenities include Fire Pit in a nice setting, gym room, and secure underground parking. HOA for this unit is $294 per month which covers maintenance, snow removal, storage area, trash, and water paid. Features are double pane window, outdoor lighting, walk in closet, and others including granite countertops. The current listing says it is FHA approved. It is not. Currently in that zip code the only FHA approved condos are Arlington Place, Armista, Aztec, Bonneville tower, The Wilshire, Trolley Place, and University Heights. What is significant about FHA approval is that FHA financing can be as low as 3.5% down. Another important factor is that approvals are for 2 years. Each renewal requires an FHA review of the condition of the building, analysis of how many are rented, a review of the HOA minutes to see if important negative issues are being discussed, and it is a nice stamp of approval those not approved do not have. One And Nine has a stucco issue going on. Driving buy you will see the evidence of repairs. Also, there have been issues with the original stucco installation. (not an unusual problem). The entire building has been assessed and affected areas are being professionally repaired. All units are assessed to deal with this cost. Sellers are agreeing to pay their entire portion at closing.